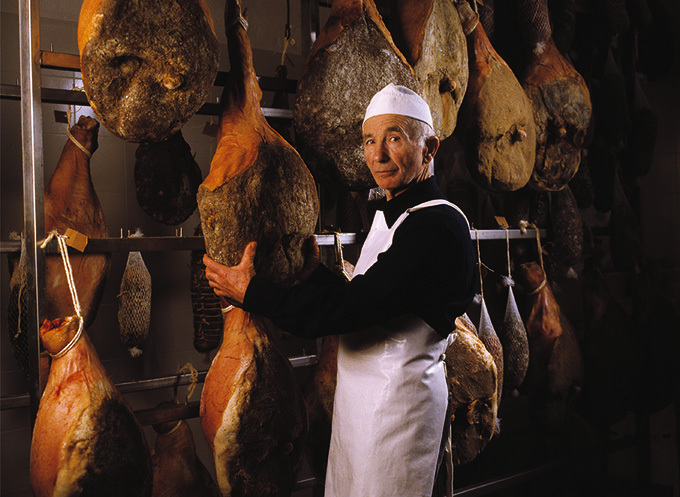 Another important part of Tuscan culinary tradition and farm life is the production of salumi, a variety of cured meat products made from pigs. 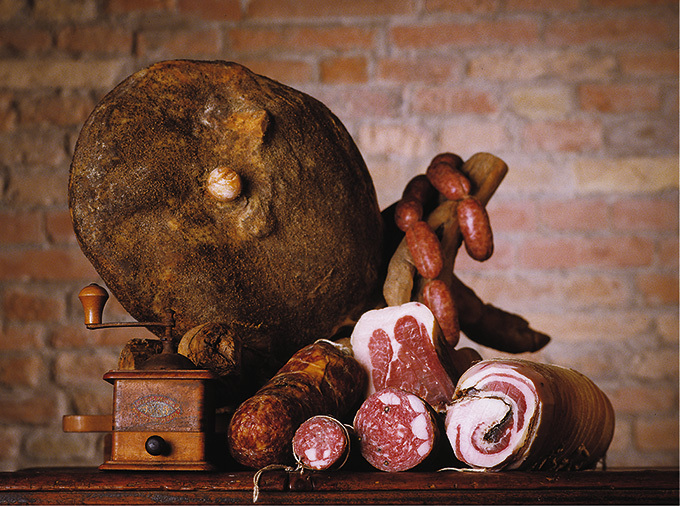 Our salumi, such as prosciutto, salami, pancetta (bacon), capocollo, finocchiona fennel salami, sausages, and many others are completely homemade with the meat of 100% Tuscan pigs. A pig natural, organic diet is essential to obtain a tasteful and firm meat, that can also be aged for over twelve months. The skilful measuring of spices and the extensive experience in the art of producing salami guarantee the genuine quality of these products, mostly available from November to April.